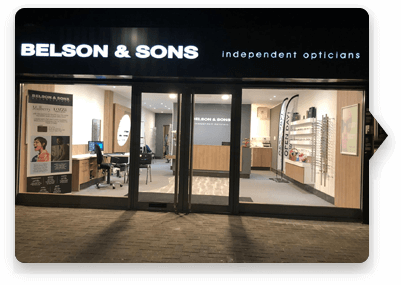 Third Generation, Independent, Family Opticians. Now with five branches, Belson & Sons was founded by Leonard P. Belson in 1955 when he established the Docklands practice in London's East End after leaving the Royal Army Medical Corps. He went on to become one of the UK's leading practitioners, especially in the emerging field of contact lenses. He carried out research with some of the pioneering contact lens laboratories of the day, much of which was published in the professional journals. The group is now operated by Leonard Belson's sons, Simon and Seth, and Simon's son Ethan. With the wisdom from the previous two generations and many years experience, our youngest member Ethan has been a great addition to the Belson & Sons team. Together they maintain the strong tradition of family eye care and quality products which have always made the practices so successful. 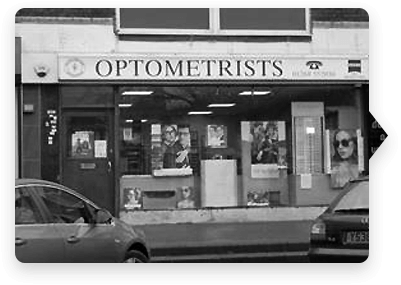 When Simon qualified as a Dispensing Optician in 1981, Leonard purchased the Pitsea practice from the Rath family, who were at the time synonymous with excellent eyecare in Essex. Still Simon’s favourite practice to work in, Pitsea now boasts state of the art equipment, and is home to the group’s laboratory where all the spectacles we dispense are made. When Seth qualified as an Optometrist in 1983, Seth completed his Pre-Registration training under the supervision of Leonard, at the newly purchased Witham Practice. Bernard Clarke opened the practice after his demob from the army, just after the Second World War. Bernard had a wonderful reputation, and we are proud that Seth has developed and maintained a faithful following of loyal patients, who are also now benefiting from our newly refurbished and equipped consulting room. 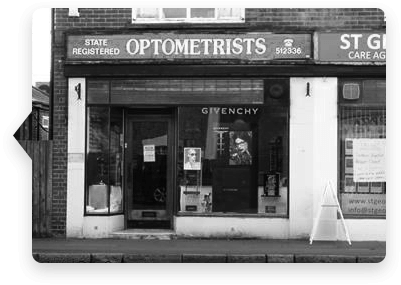 Acquired in 1991, our Corringham Practice came complete with a resident optometrist in place who has remained with us ever since. Over a quarter of a century later Graham Wallis is pleased to count several generations of many families amongst his loyal clients. There's always room for more though, and we're always happy to welcome new individuals and families to the practice. Watch this space for details of our forthcoming shop-fit at Corringham, which will be a showpiece in the town. When the opportunity to add another Rath practice to the group, we really couldn’t pass up the opportunity. Kennedy Rath, a popular figure in Grays and an old friend of the Belson Family, remains with the practice, and the Grays team are continuing to grow the practice and integrate it into the Belson way of doing things, providing first class care to every patient who walks through the door. All Very welcoming and friendly staff and always a very good thorough eye examination, would recommend. Very professional and accommodating! I always go to see Mr Wallis, he is thorough and gives detailed explanations to my inquiries and concerns. Consequently I feel confident that I am receiving the best service available to me! I felt the lay out the shop was lovely, the lady at the font of the store, was kind attentive and helpful, The optometrist was thorough and displayed excellent communication skills with a good bed side manner. This was my first every eye examine and i was very nervous and i made to feel relaxed! very happy with the service. If what you're looking for is helpful, speedy and efficient this is the opticians for you. Was not disappointed. Excellent selection of glasses to choose from and they will go out their way to do all they can for you. And most importantly service with a smile !! Great staff, great selection of glasses and I left with a spring in my step! They did everything they could to aid me in choosing my glasses and they bent over backwards to help me. Best optician I have ever been too. I've been going to Belson and Sons since I was little and it's like going to see old friends, everyone is so friendly and helpful. The service is also excellent, it's very personal and very thorough. I couldn't recommend it more!. 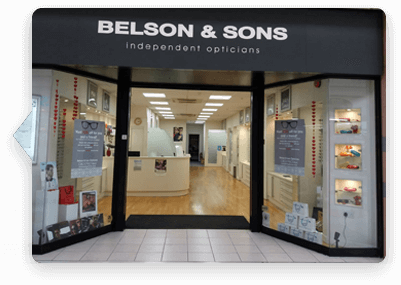 Went to Belson and Sons for the first time very recently for an eye test and to purchase a new pair of glasses. Most amazing friendly service and most importantly extremely professional. Very happy with my new pair of glasses that I bought for a very decent price. Defiantly a happy customer and which would definitely go back there. Would very warmly recommend them. Seth and the team are what make Belson and sons very special. Not only do they give a good caring service, the quality of their work is exceptional and accurate. I would recommend them to anyone. First class professional service, all the staff are very courteous and helpful. Would heartily recommend Belson and Son to all who expect the best in expertise and care.